What is the proper way to convert to premix on a 97xp? Thread: What is the proper way to convert to premix on a 97xp? I bought a 97xp that did not have an engine, I then bought a engine that had been converted to premix with the blockoff plate. It has a clear/green hose that cconnects 2 barbed fittings on both sides of the crankcase. One is below the carbs and the other is around the same place on the opposite side. Is this correct? Can I totally remove the oil tank or do I still need it for anything? Yes, you can leave the tank where it sits. The oil line that connects to each side of the motor is to keep the rotary valve gear inside the motor lubed. Keep those connected. If that line is clear, it needs oil in it to keep the rotary valve gear & shaft assembly in a bath of oil. * Here is one way, if it is one peice of hose, cut it in half, and get a plastic or brass barbed fitting to splice the two back together. * Now, take a small funnel and put it in one end of the hose you cut and begin to fill. You can also us a syringe or turket baster to fill in the hole. 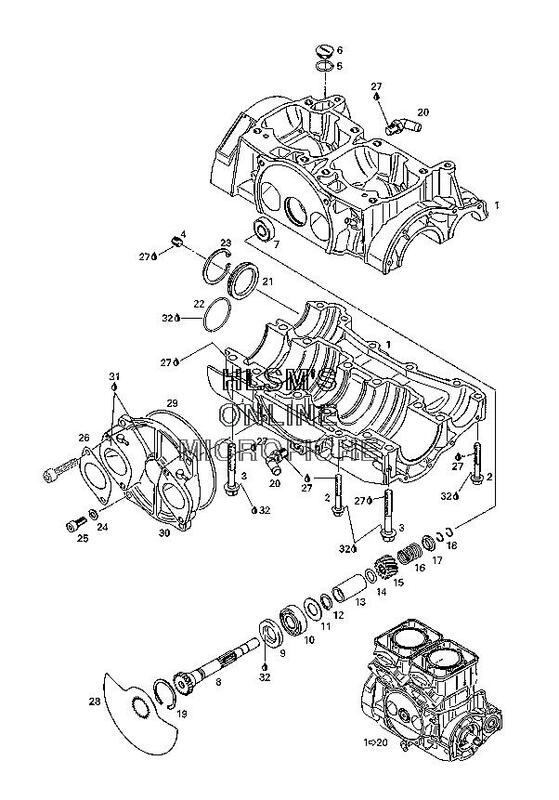 * Make sure your spark plugs are out as you will need to place your hand at the back of the motor and rotate the crank shaft via the PTO to allow the rotary valve gear to spin and help lube/fill this void. * You will eventually see the oil come out the other end of the hose where you cut it. * Now once these hoses have been packed with oil, put them back together with the barbed fitting. You should be able to find this fitting at an auto parts house or hardware store in the plumbign supply. Very similar to the one below...it can be in white, brass, grey, black ect.....it is not under pressure where you will be connecting it. * You can also instead of putting in a spliced barbed fitting, install a T-fitting to allow you to fill with 1 hose. Just make sure you cap the end when filled. Leave a little air space at the top of the loop for a little expansion. I get it all back together with the T fitting and tried to fill it as best I could I saw that both lines had oil in them up almost to the T fitting but I could not get one little bubble out of the top. I was sure to remove the plugs and spin the PTO so more could get in there if possible. I take it out on the water today and it fired right up, I go out past the no wake zone and do a few short circles really leaning into the corners. I then decide to just run back to shore real fast and check to see if everything is ok. I lift up the hood and the line coming from under the carbs has no oil in it but the one coming from the backside is full. I immediately put it back on the trailer and went home. Did I just shake extra air out of it? Is this normal? Should I just fill it up again and go for another test ride? My lines are just looped up right behind the support bracket for the pipe that is just above the magneto. I have the T at the top and there is a good 8" of hose going to each connection. How much oil will this area hold anyways? Last edited by Satanklawz; 07-02-2007 at 04:54 PM. Thats how ive done three engines. On race engines we cut the loops close to the engine and tie together at the highest point with a tee. Add a small piece, and fill to leave a 3-4" air pocket. Now...the RV cavity within the engine always maintains an air pocket in the top of it, so when you ride aggressively the oil will lower to take up some of this airspace. Topping off 2-3 times after each ride will eventually prevent a drop in the 3-4" air pocket at the top of the lines. If it still drops consistantly...your crank seals are leaking allowing excess oil to enter the engine. If you look closely...the oil in both tubes is a "level" position of the hull. One being higher than the other is just because the hull is tilted. Topping off 2-3 times after each ride will eventually prevent a drop in the 3-4" air pocket at the top of the lines. If it still drops consistantly...your crank seals are leaking allowing excess oil to enter the engine. What is the best way to sell my SeaDoos? what is the best way to change the colour of my ski? What is the best way to clean stock IC?